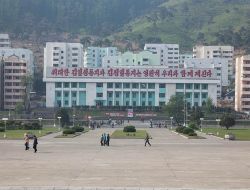 Pyonsong was formally established in December 1969 near the old provincial capital of Sain-ni, at a place formerly called Sainjang, once only a stop on the P’yŏngyang-Yŏnghŭng rail line. 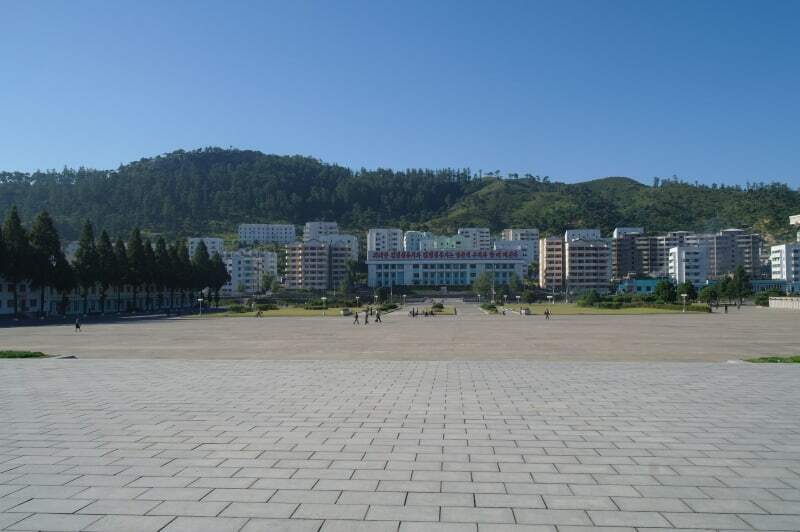 Today it has a population of 285,000. 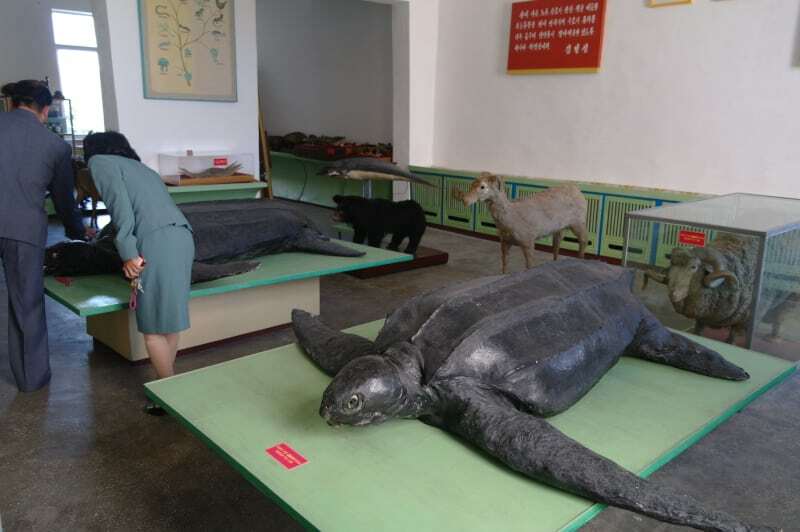 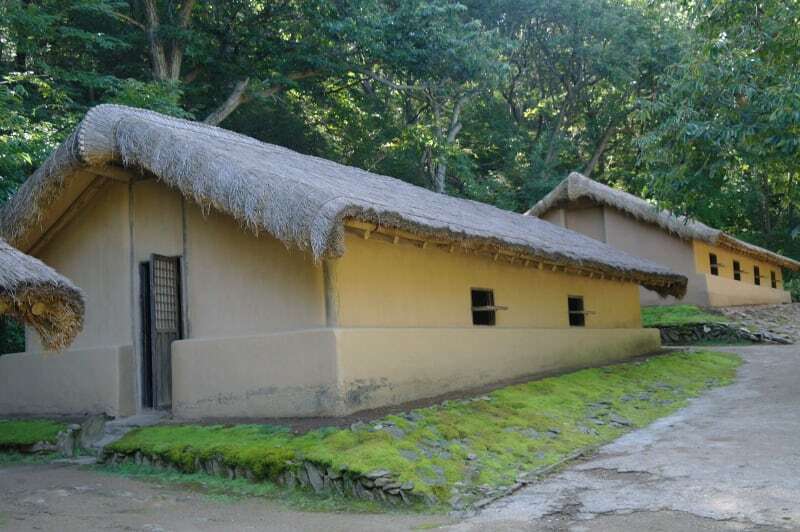 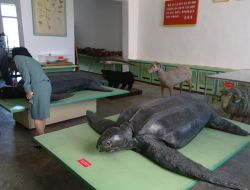 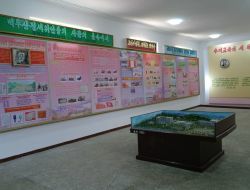 In addition to its administrative functions, Pyonsong is a scientific and cultural centre. 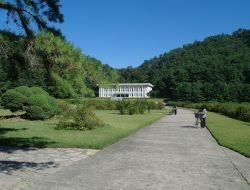 It is considered to be country's Silicon Valley focusing on leading space researches. 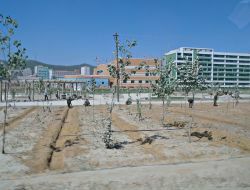 A number of leading national research organizations are based in Pyongsong such as Space Science Research Institute, State Academy of Sciences, and Pyongsong’s Atomic Energy Research Center, part of Pyongsong College of Science’s nuclear physics department which has some 6,000 associated staff - all of them in Pyongsong. 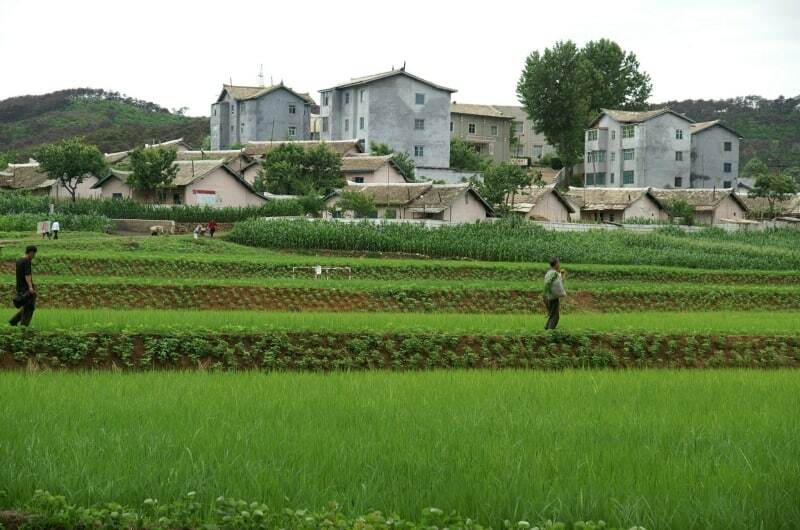 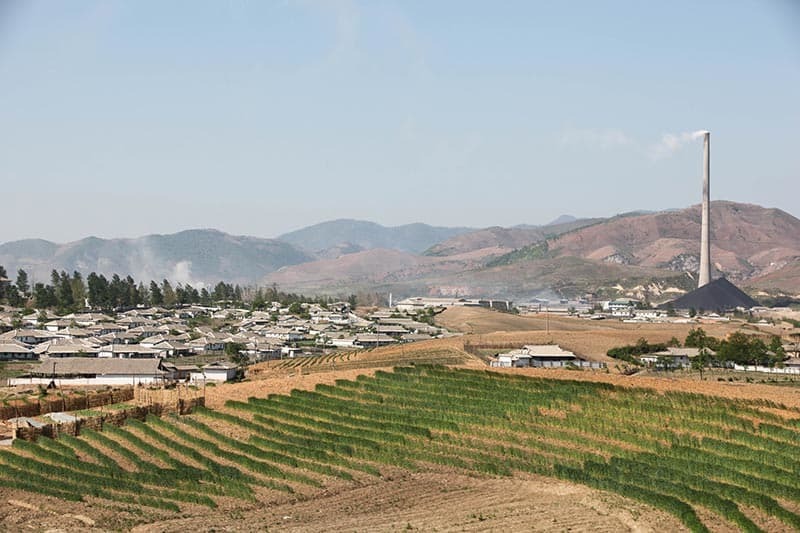 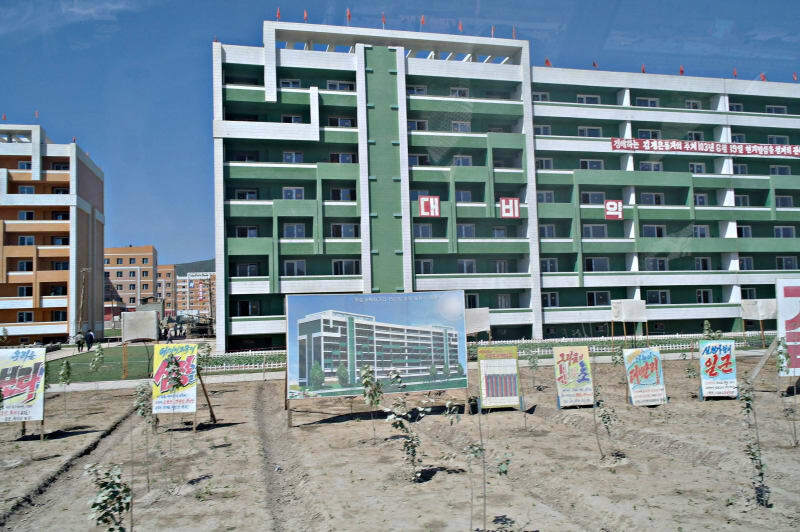 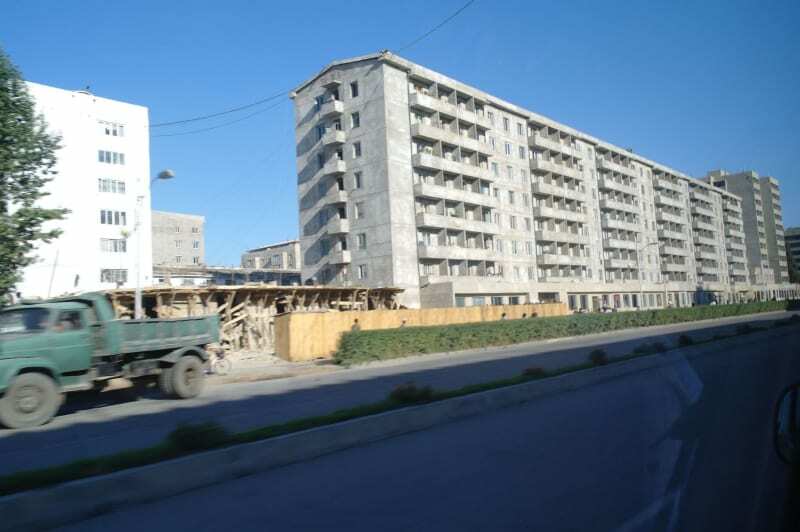 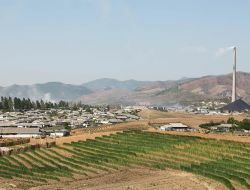 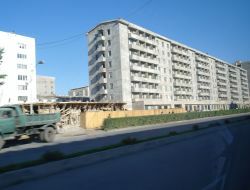 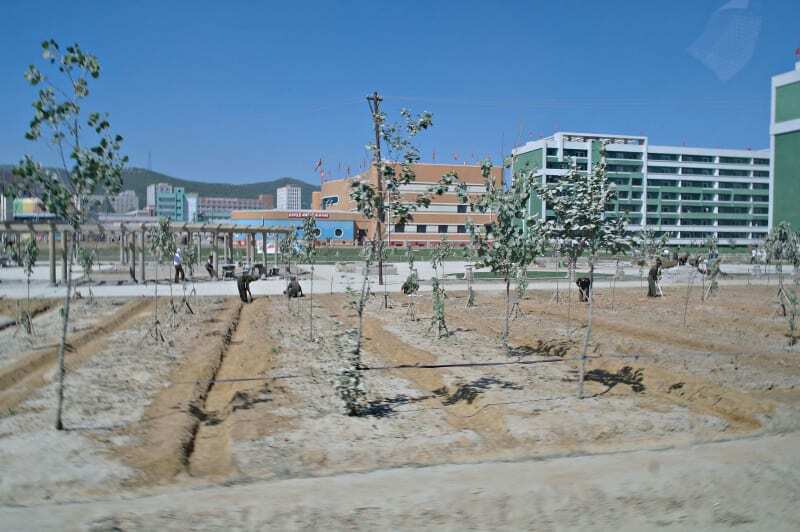 In 2014 Pyongsong looked like a single construction place - new appartment blocks, roads and other infrastructure were costructed to host families of local space schientists living and working in Pyongsong. 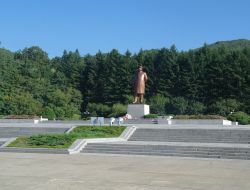 Pyonsong was opened for tourism in 2012, it is one of the country’s newest openings for western tourists. 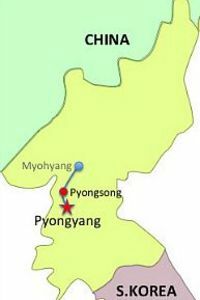 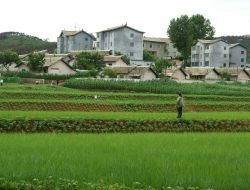 Pyongsong is located about 32 kilometres northeast of Pyongyang, a forty-minute drive from Pyongyang. 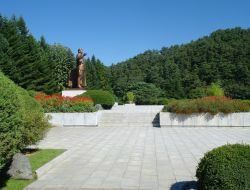 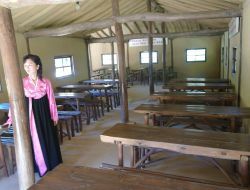 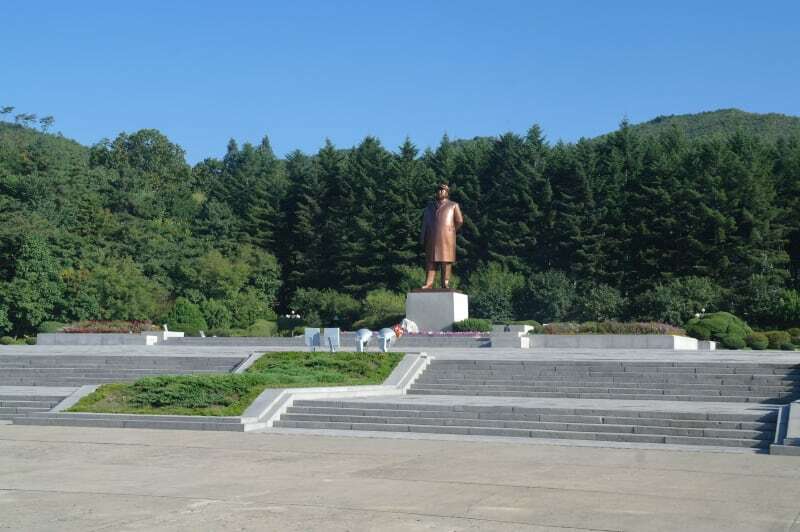 Paeksong means in Korean "white pine tree" - it is the place to which Kim Il Sung University was moved during the Korean War. 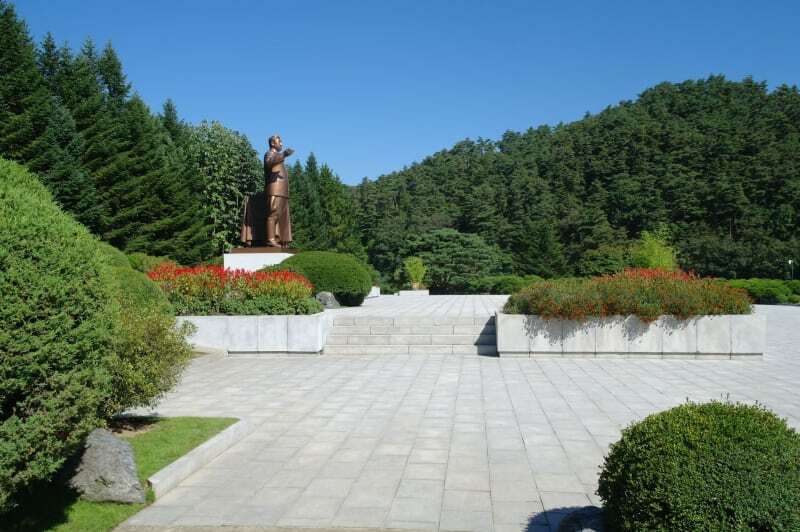 It is about a 20-minute drive from Pyongsong city centre. 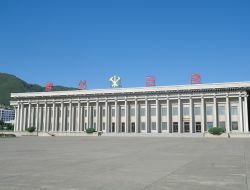 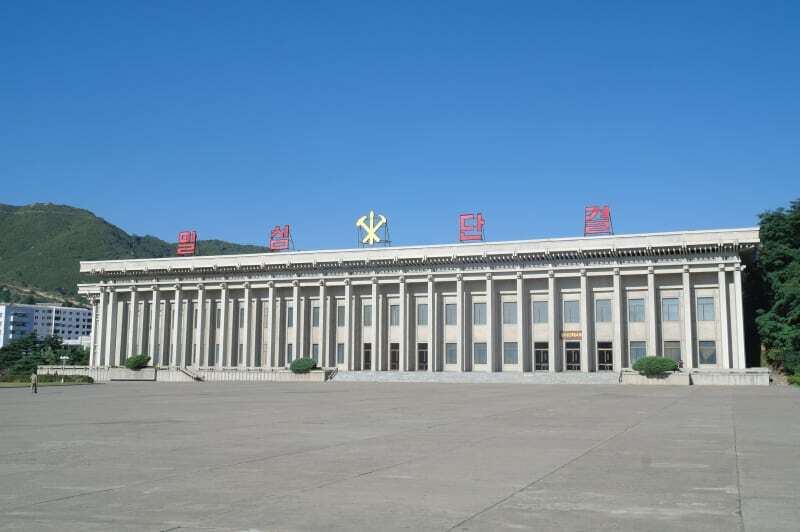 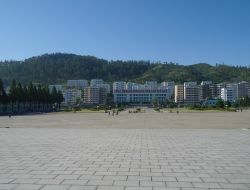 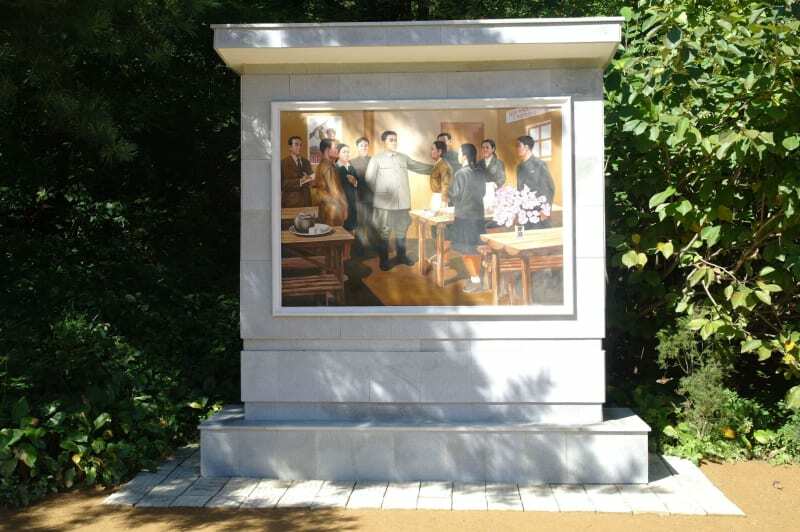 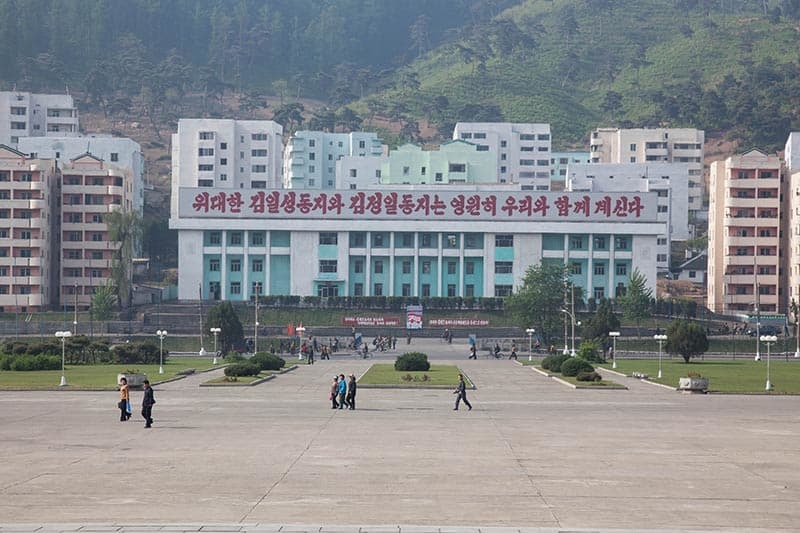 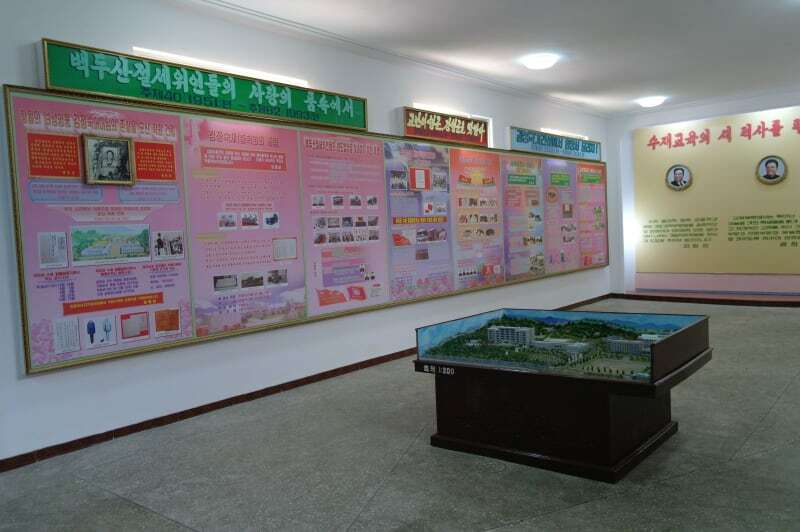 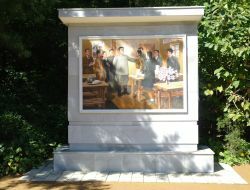 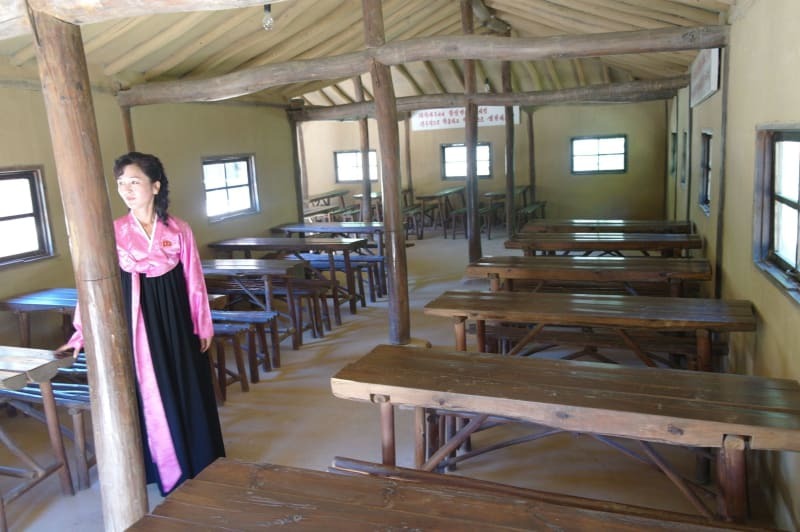 The Kim Jong Suk Higher Middle School for gifted children (named after the mother of Kim Jong Il) is one of the major attractions in Pyongsong. 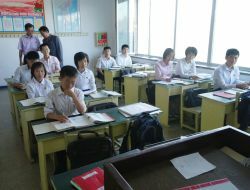 You will have a chance to interact with students during the class, see how student's operate Korea's intranet (the school is specialized in hard sciences) and observe various school activities - from math class and driving lessons to basketball game. 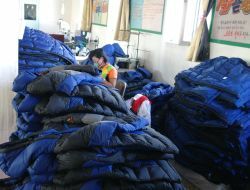 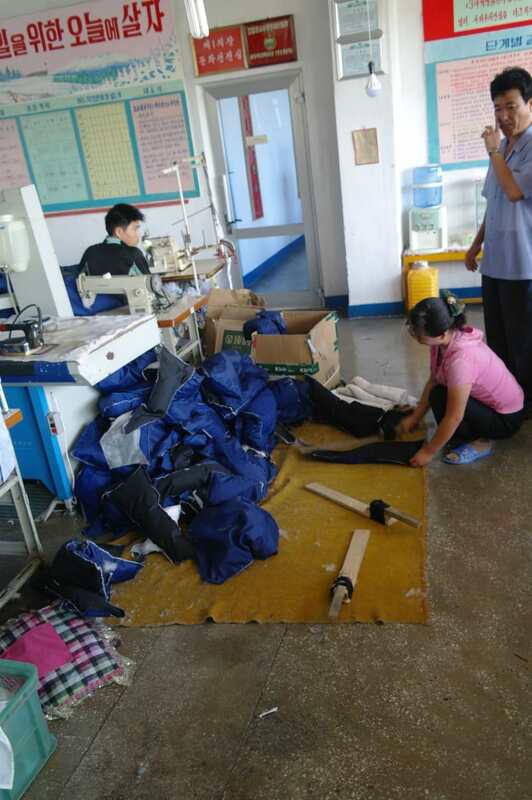 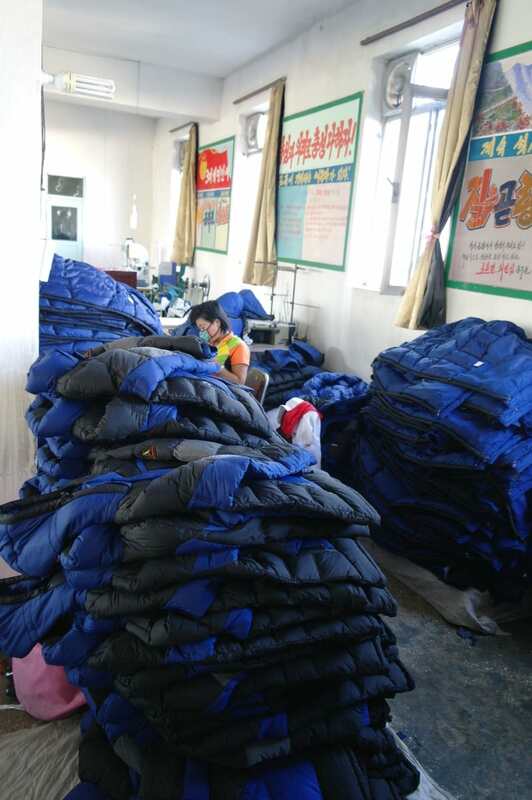 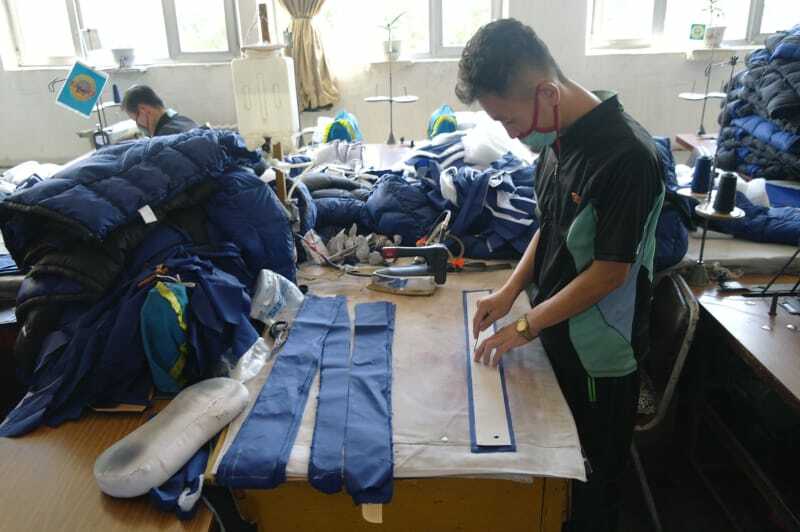 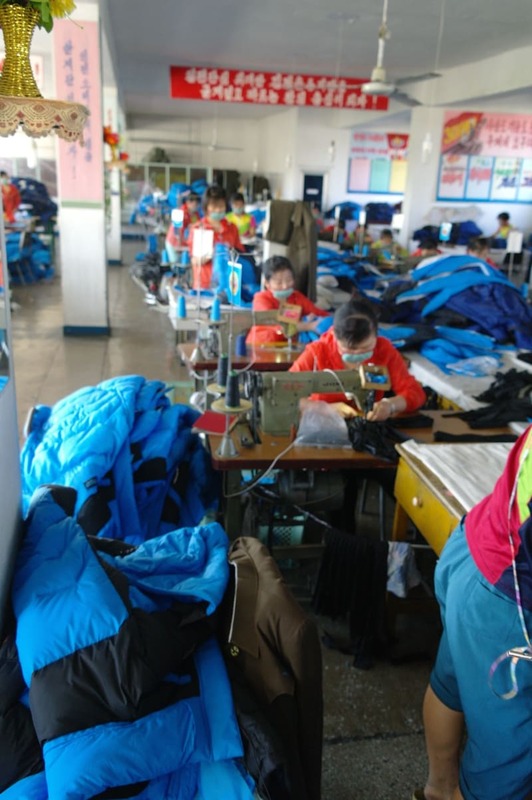 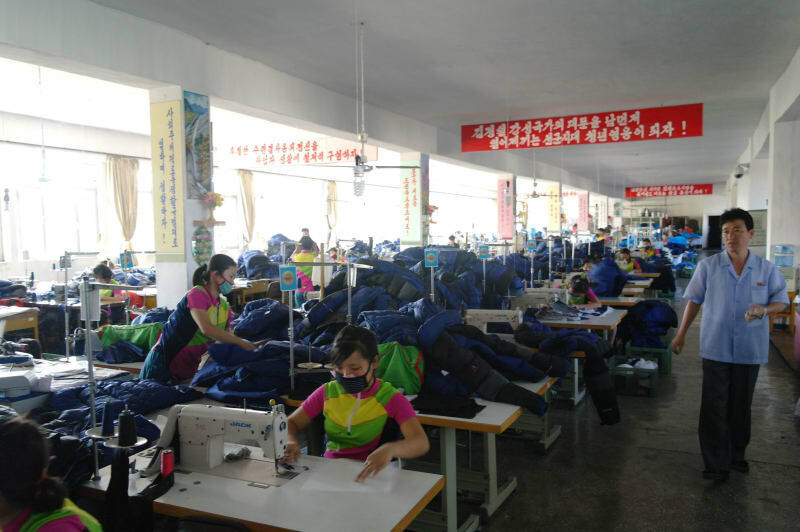 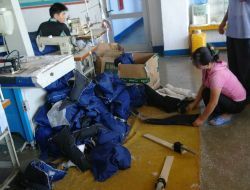 The factory opened in 1961, it is manufacturing different sport clothes for export. 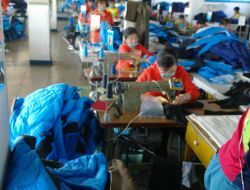 The factory has been working with Japan, Vientnam, Russia and some other countries. 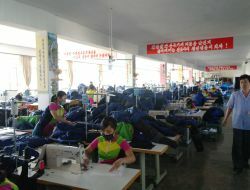 It employes about 600 people working in huge manufacturing halls located on 4 different floors of the factory. 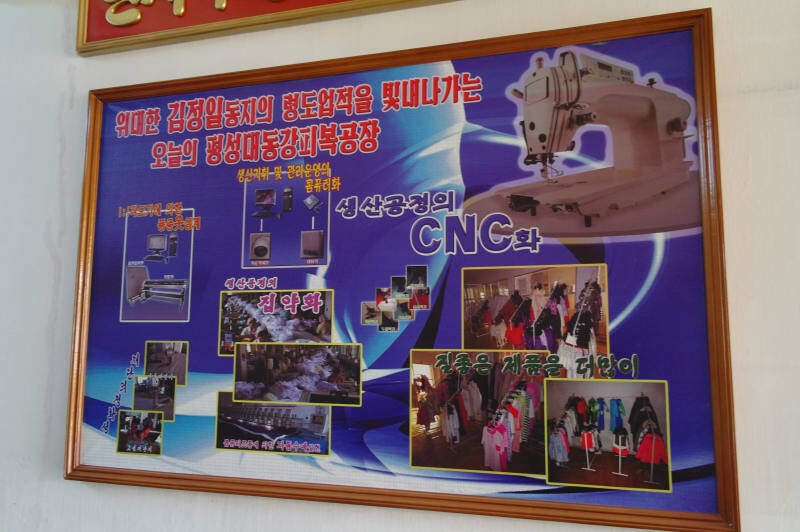 The factory features modern equipment to stitch advanced logos and emblems onto fabric. 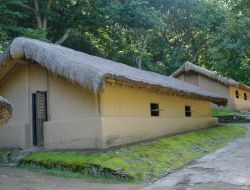 Built on the slopes of Mt. 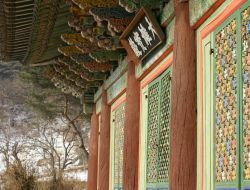 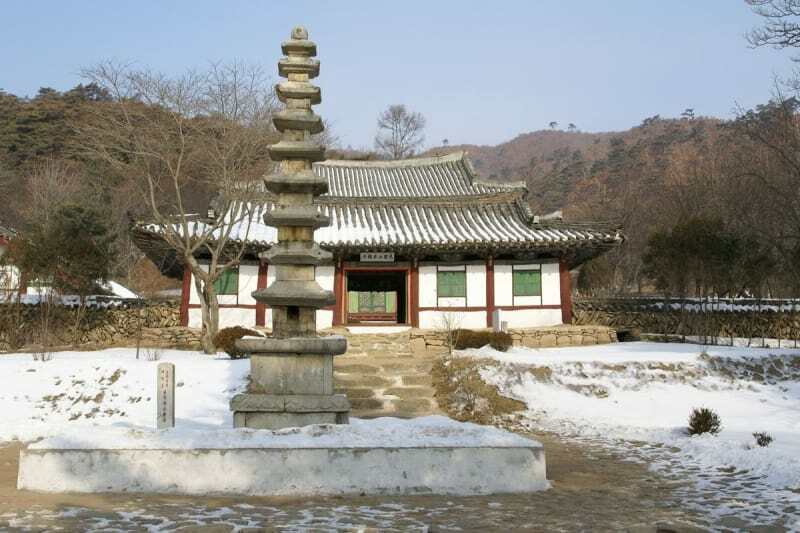 Pongrin, the temple dates ( founded in 503) to the Koryo dynasty, though all of the buildings date to later Joseon dynasty renovations. 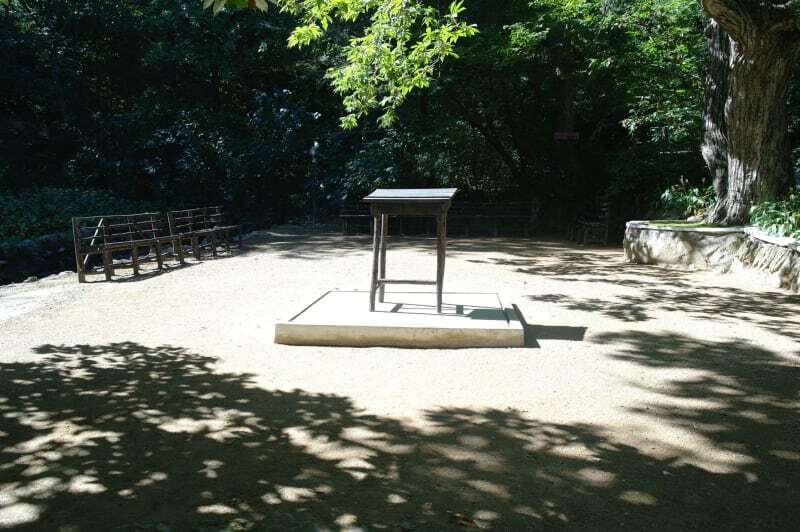 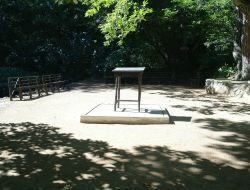 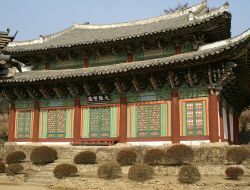 It was later reconstructed in 1419, and again renovated in 1785. 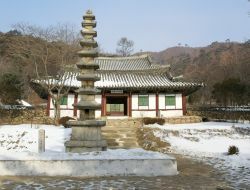 Temple boasts Taeungjon Hall, Thaephyong Pavilion and a stone pagoda. 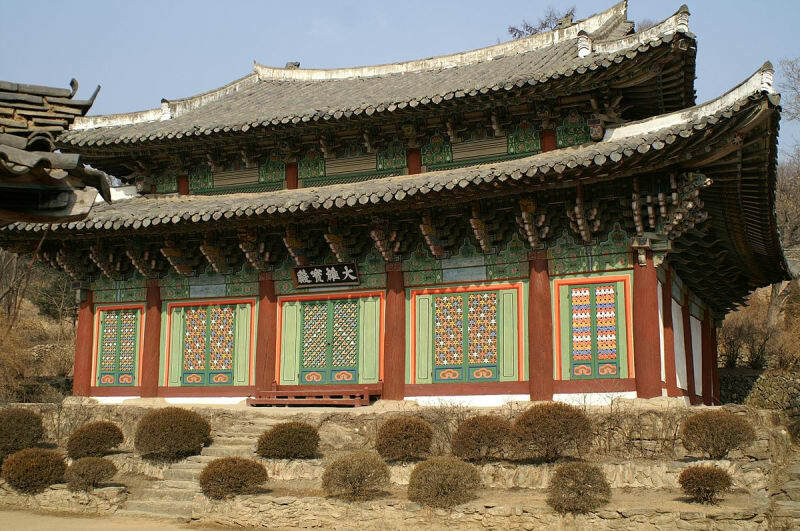 The Taeungjon Hall is a two-storeyed building with crane-shaped roof erected on a high terrace. 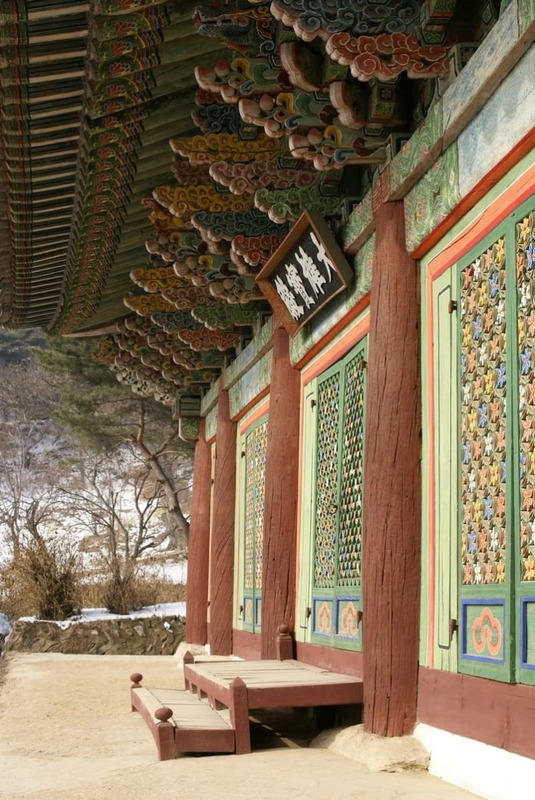 The interior of the hall was coloured golden, red and blue. 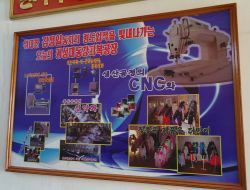 Paeksong Foodstuffs Processing factory is producing soju and pastries. 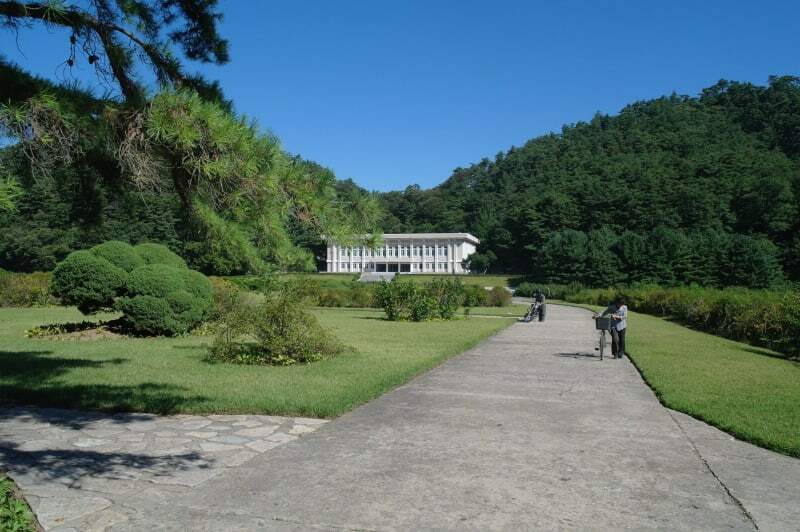 Ponghak brewery is one of a few breweries in Korea where you can see how local beer is produced. 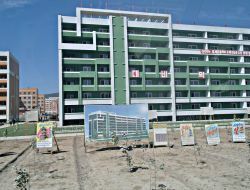 In Pyongsong there is only one hotel - recently renovated Jangjusan Hotel.